Canning Cranberry Juice - Canning Homemade! With the holidays upon us I'm getting more inspiration to work on recipes that come from my followers for cranberries! Tonight Sherrie shared her work on canning some amazing looking Cranberry juice. Sherrie added a bit of orange to it to offset some of the tartness. From Sherrie: Each time I strained into a pan I set aside, then did the final strain thru cheesecloth. If you want to use the Weck jars, shown in the picture below, they are available at www.weckjars.com. I wanted to do a quick post to share Sherrie's recipe and work so that those who wanted to get this done this week would have the recipe handy. Thanks Sherrie for always being such a great contributor! Cooking - In a stockpot simmer the cranberries with 4 quarts of the water until most of the berries pop. Strain through a wire mesh strainer. Set aside the juice that has been extracted and add the pulp back to the pan and add an additional 2 quarts of water. Simmer another 5 minutes, strain as before reserving the juice and adding back the pulp. Add another quart of water, repeat simmer for 5 minutes and strain one last time through cheesecloth. Add last quart of juice just strained and add the sugar in small quantities heating on low till you get the right flavor. Remove from heat. 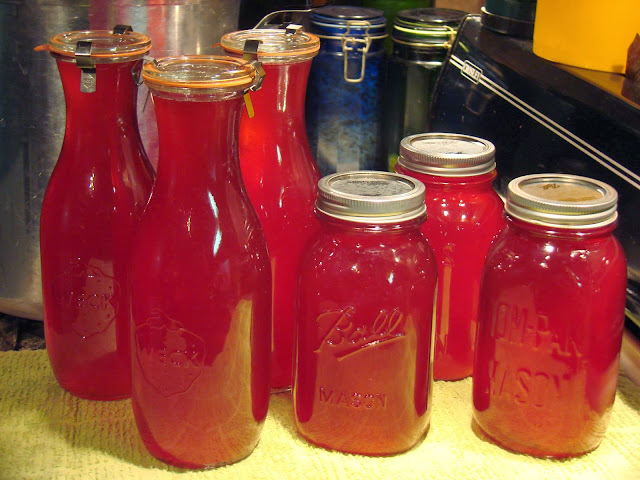 Filling jars - Fill the juice using your canning funnel into hot, sterilized pint, quart size, or half gallon canning jars. Fill the jars to 1/4" headspace. Processing: Wipe the rims and place the hot lid/rings on the jars. 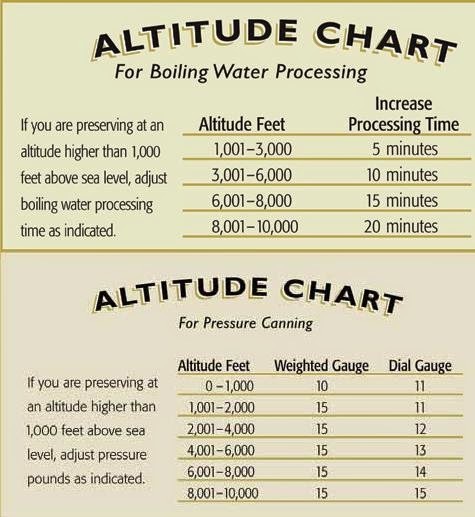 Process in a water bath canner for 5 minutes for pints and quarts and 10 minutes for half gallons at a full rolling boil. Wait 5 minutes, remove and place on dishtowel overnight undisturbed. The next day remove rings and clean jars and label with recipe name and date. Store in a cool, dry, and dark place.